Al-Ain (United Arab Emirates) -- AFP Sport's guide to the Asian Cup quarter-finals, which begin on Thursday and will see the video assistant referee (VAR) system used in the tournament for the first time. Japan should brush Vietnam aside but the four-time champions have been so unconvincing that a defeat would not be a major surprise. Hajime Moriyasu's side have stumbled through the tournament, winning by a single-goal margin in each of their four games and conceding twice in their 3-2 Group F victory over Turkmenistan, ranked 127th in the world. They allowed more than 75 percent possession to Saudi Arabia in a dire last-16 outing that was settled by Takehiro Tomiyasu's header from a corner against the run of play. Meanwhile Vietnam, fresh from winning the Southeast Asian title last month, beat a well-organised Jordan side on penalties and could prove a handful for the stuttering Japanese. The end looks nigh for Marcello Lippi's China as they run into the tournament's only consistently dangerous team. Iran are Asia's top-ranked side and have yet to concede at the tournament, rattling in nine goals their four matches as they moved confidently into the quarters and only being stopped in a goalless Group D draw with arch rivals Iraq. It's the sort of form that has made them the team to avoid -- which is bad luck for China, an ageing team with injury problems and few options in attack. In their favour, however, is the acumen of Lippi, who won the World Cup for Italy in 2006 and may have a few more cards to play before his expected departure post-tournament. Son Heung-min's belated arrival gave South Korea a significant boost in their final group game, a 2-0 win over China, but needed extra time to beat Bahrain's part-timers 2-1 in the first knockout round. 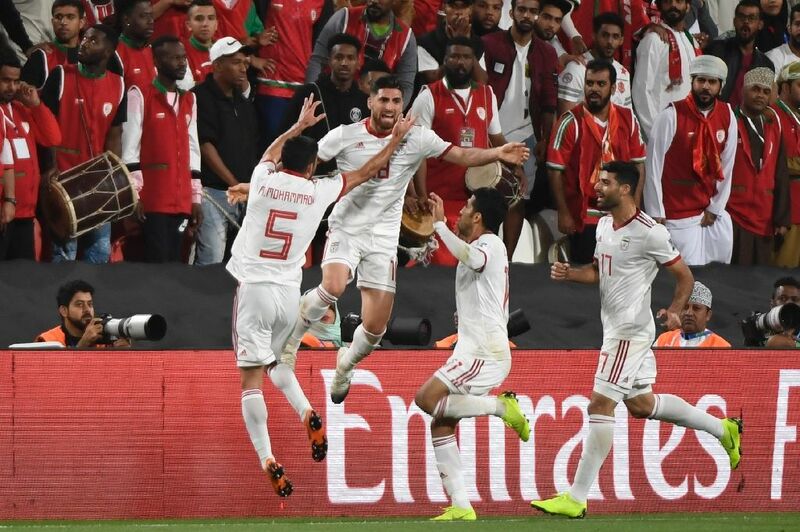 Meanwhile 2022 World Cup hosts Qatar have gone from strength to strength, upsetting political foes Saudi Arabia in the group phase thanks to a brace from the tournament's top scorer Almoez Ali -- who has seven goals to his name -- and knocking out Iraq in the 1-0 win that took them to the quarters. With Qataris largely banned from UAE thanks to the ongoing Gulf blockade, and boos greeting their anthem, it's been a quietly defiant tournament for Felix Sanchez Bas' team. Defending champions Australia finished second in their group but it's worked out well, with a favourable draw and no chance of meeting Iran until the final. Despite only just squeezing past Uzbekistan on penalties, the Socceroos are heavy favourites to extinguish the hopes of Alberto Zaccheroni's lifeless UAE. The hosts, who are a world away from the dynamic football that lit up their appearance in the 2015 edition, have had some eccentric refereeing decisions to thank for keeping them in the tournament. With home fans staying away in droves, Australia have even less reason to fear the fixture in Al Ain, where they have played three of their four games so far. The technology that shook up the World Cup in Russia will be used for the first time at an Asian Cup from the quarter-finals. Decisions on whether the ball crossed the goal line, penalties, red cards and mistaken identity can all be video-reviewed before the on-field referee makes the final decision. It could have been a very different competition if VAR had been used all along: two late penalties for UAE, and two goals in Australia's win over Syria are among the incidents which may have faced scrutiny. It will bring an extra element of interest and, as defenders will be keenly aware, potentially more penalties.